The file manager is a mini application that allows files to be downloaded or transferred to the local PC. The file manager is really a simple �wrapper� for the load/save form that is now used in all RT applications. It allows a single place to download data to the local PC. 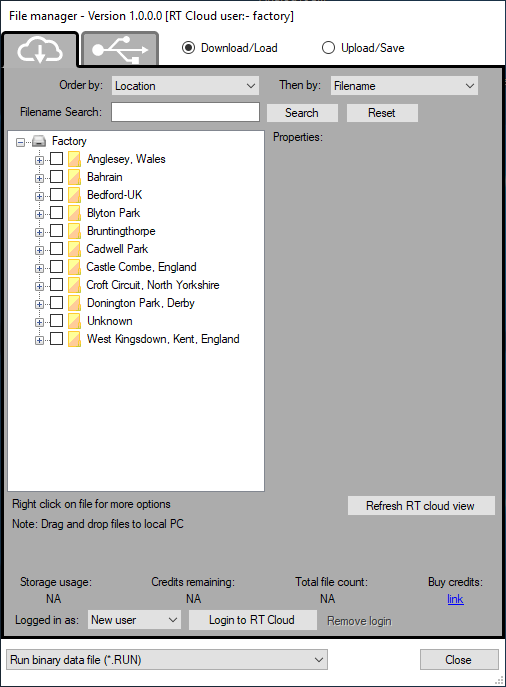 Single or multiple files can be dragged and dropped from the file manager to the local PC. These different data sources are selected by clicking on the relevant tab listed below. Local and SD Card tabs are available when file manager is used to load/save files in RT applications. Note that is a particular source is not available then the tab will be grey out and cannot be selected.